Vitra Miniature 1989 Ron Arad Big Easy Chair. Designed in 1989, Arad's London "One Off" work shop created an entire series of "Big Easy". This Big Easy Vitra original miniature chair is made to scale 1:6 with stainless sheet steel. . The biomorphic-like appearance of the Big Easy is a precursor to the aesthetic style of contemporary style of the 21st century. This amazing and highly detailed miniature is an exact copy of the original large version! The miniature comes in a wooden box with a brochure which provides art-historical information on the background to the design, biography of the designer, and the production history of the respective chair. Miniature Big Easy, Designer: Ron Arad, 1988. 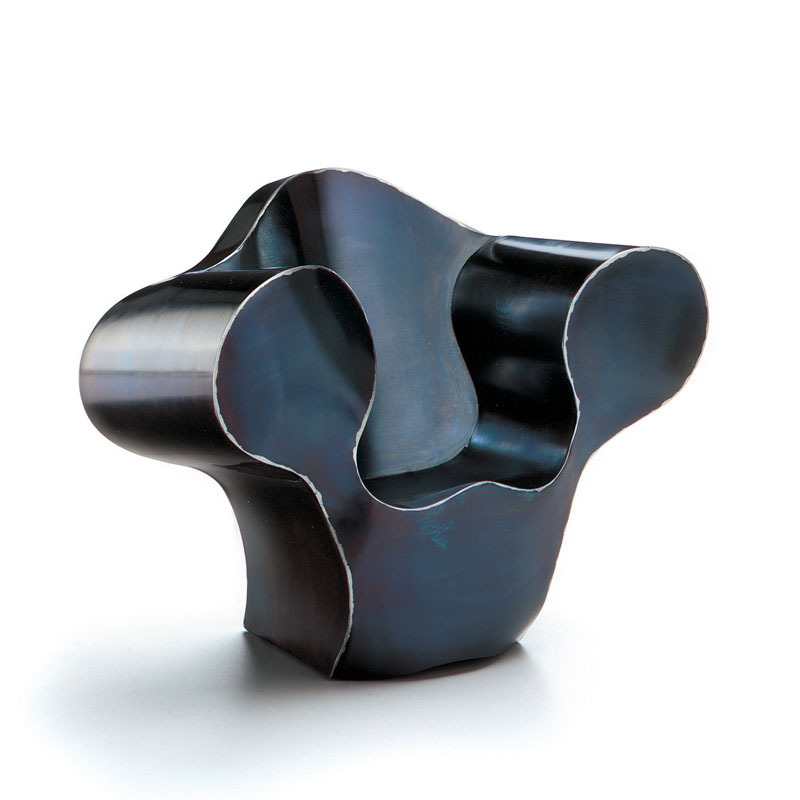 In 1988 and 1989, Arad's London "One Off" workshop created an entire series of "Big Easy" armchairs using bent sheet steel welded at the edges. The "Big Easys" were brought out as individual items or small limited series, they all had a striking basic form and inflated arms reminiscent of comics - but they differed in terms of the welding and color. In the course of time, the initially coarse, roughly welded "Big Easys" went through changes, first becoming colorful lacquered chairs with smooth surfaces and then elegant versions made of polished stainless steel. Size: 6.77" x 8.39" x 5.12" (17.2 x 21.3 x 13cm). Stock product, ships in 2-4 business days.